This dog makes a snarly face at being licked by a cat, but we think he secretly likes it. This dog was sitting on the floor when the cat decided to show some love and started to lick them. The dog looked uncomfortable with this show of affection and made snarly faces but didn't harm the cat in any way. 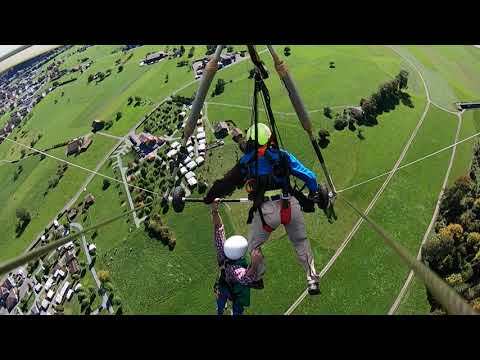 A man hangs on for his life from a hang glider after the pilot forgets to clip attachment while on vacation in Switzerland.